This is my second post of the day. 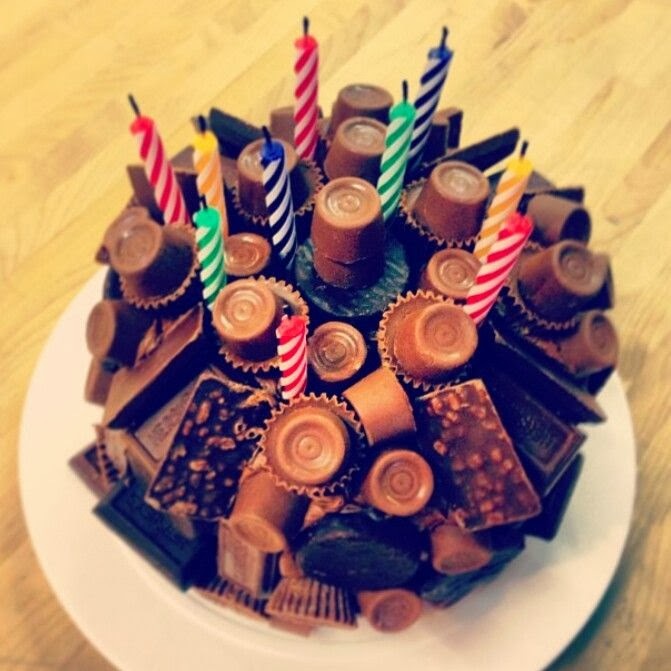 If you are looking for my 12 Kits of Occasions post, please scroll down or click here. 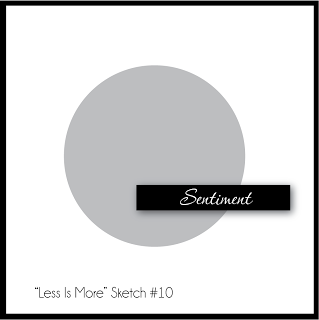 It has been forever since I have played at Less is More, and I don't know why, because I love this challenge. The sketch this week is such a fabulous one, so I made a card to play along. 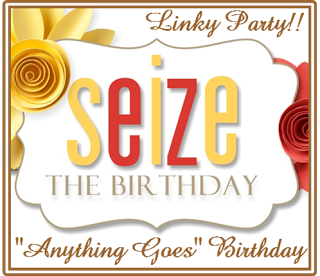 I am also linking up at Seize the Birthday Anything Goes, and Simon Says Monday Challenge: Say it With Stamps. The finished size of this card is 4 3/4 square. 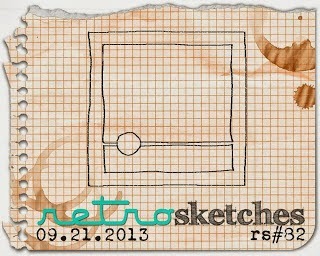 I don't normally make square cards, but I really liked this sketch just as it was. I am feeling very 'Ardyth' now. My next card is made possible by the generosity of my sweet stamping buddy Tracey, who sent me Lawn Fawn leaf die cuts in all the fall colors. 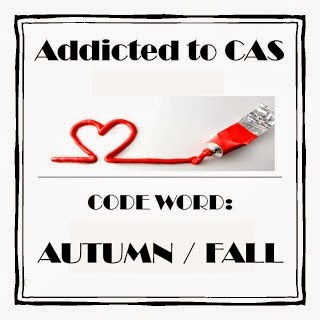 I am entering it into this week's CAS-ual Friday's CFC115, Addicted to CAS ATCAS #23: Autumn/Fall, as well as Seize the Birthday Anything Goes, and Simon Says Monday Challenge: Say it With Stamps. Finally, I have a thank you card using Fanciful Feathers (WPlus9) using this week's CAS(E) this Sketch CTS #47, and I am also linking up at Simon Says Monday Challenge: Say it With Stamps. It is the end of September, and that means it is time for my 12 Kits of Occasions post. Our theme this month is Halloween and our hostess is Kim of Cupcakes, Cards and Kim. I know that Halloween is one of Kim's favorite holidays, and she has just about every supply under the sun. 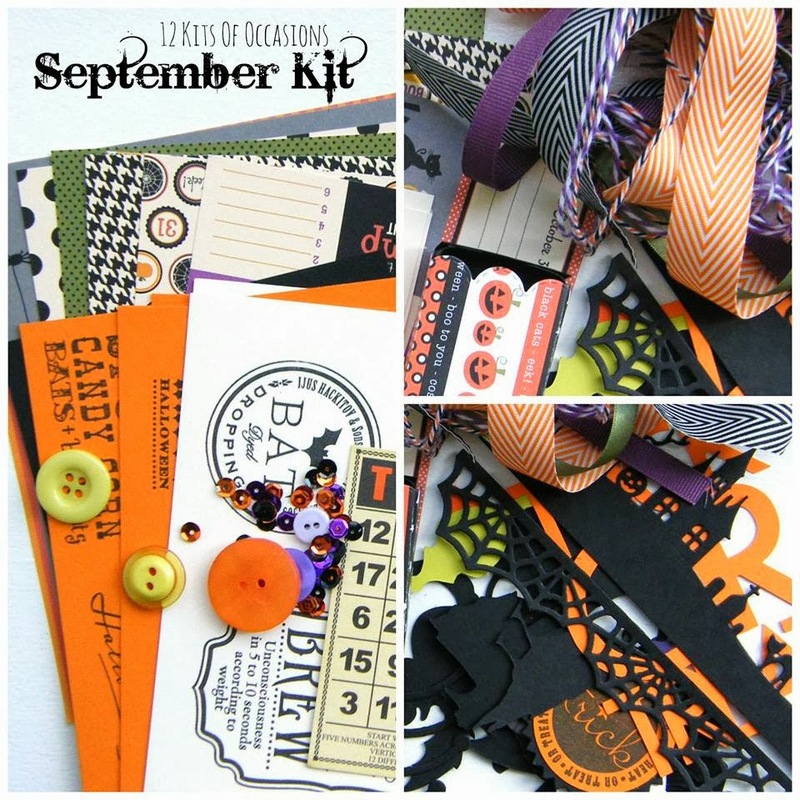 She sent us the most fabulous kit with so many goodies, I could have made several dozen cards. Here is a picture of the kit Kim sent. Isn't Kara's picture collage amazing? I am going to jump right into my cards and projects, since there is a lot to see. There are Girardelli chocolate squares folded up in these lunchbox note die cuts. That's it for me today. I have so many leftover supplies, and I know I will see lots of fun ways to use them when I see the posts from all the other members of 12 kits. Thank you so very much, Kim, for sending such an enormous and fabulous kit. This month, I am sad because Jeanne is not with us. She is too busy with lots of other crafty commitments. You can still visit her blog here, where she will dazzle you with her incredible talent. I am happy, however, that one of our original members has found the time to return to us--Cathy from Empty Nest Crafter has rejoined our group. And, this month, we are fortunate to have a special guest--and I think I am going to make you head over to our 12 Kits of Occasions blog page to see who it is. Any guesses? Only Kim, our hostess, knows. 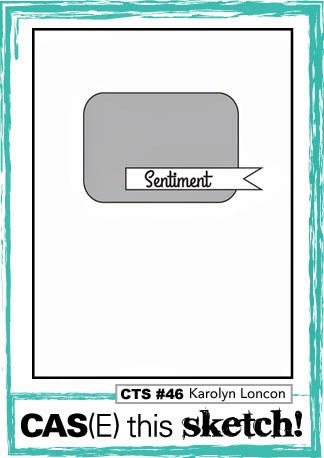 You can also see a complete supply list on the 12 Kits of Occasions blog, by clicking on the Supplies tab on the upper right. 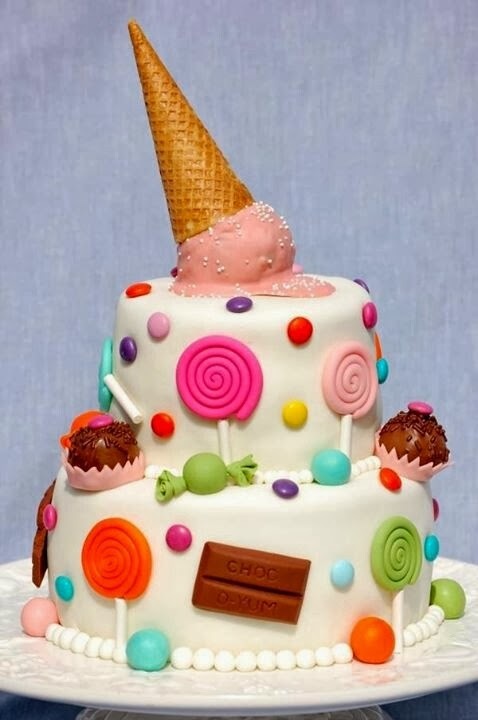 Please stop by our 12 Kits of Occasions blog page, and also visit all the other members of our 12 Kits of Occasions group. 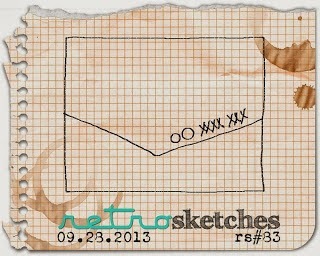 When I saw this sketch for this week's Retro Sketches rs#83, I knew I would play along. I love this sketch as a way to use some hoarded patterned papers. I have been loving the colors and patterns in my new Lawn Fawn Into the Woods paper, so that is what I used. I have been a terrible student so far. I have only watched a few videos from the Insider Card Class, and have finally made one thing. I took the Bat Mitzvah card that I showed here, and made a fun little envelope inside to hold the check that was our gift. I used the Seed Packet Die, and cut the top off with the pinking die. Then I made a little pull tag with a strip of folded paper and a stamp from Movers and Shakers. My last card for today is just for fun. I wanted to play a bit more with my new Bubble Talk set. I was inspired to make this pattern paper border by this card by Maile Belles. 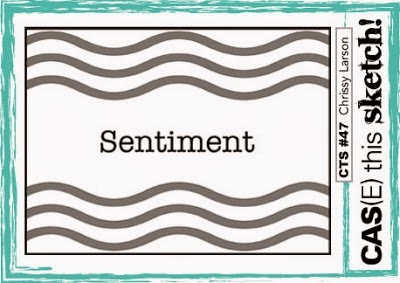 I am entering all three cards into this week's Simon Says Wednesday Challenge of Anything Goes. I am playing along with this week's ColourQ cQc #208, and my spot of color is Raspberry Fizz. I am also entering this card into this week's Simon Says Wednesday Challenge of Anything Goes. I used one of the stamps from Autumn Pattern pieces to create my front panel. I fussy cut the WMS flowers and leaves, and they were pretty easy to cut out. 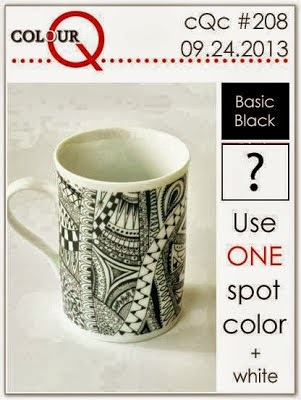 I cannot believe that I almost missed this month's PTI blog hop. I had totally forgotten about it. 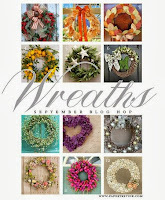 Lucky for me, the theme is wreaths, and I have Wreaths for All Seasons that I have hardly ever used. I was happy to have a reason to pull this set out, and it is a great set for a quick and simple card. 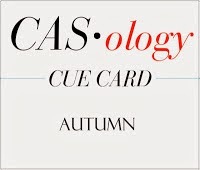 I am also entering this card at this week's Casology #63, where the cue word is Autumn. We are going to the Bat Mitzvah celebration of my friend's daughter Leah this weekend, and I made her a card using this week's Retro Sketches #82. I based my card on the invitation, which was white with a brown tree with green and purple leaves. The tree is cut from Dark Chocolate felt, the stars are coated with Glossy Accents, the little leaves have stickles on them, and there is a rhinestone on the exclamation point. 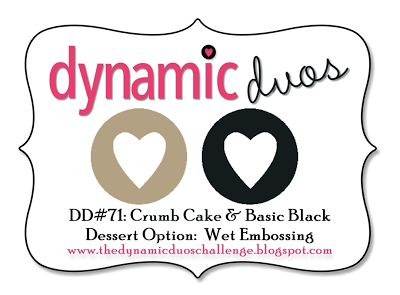 I set out this morning to make a card for this week's Dynamic Duos DD#71: Crumb Cake and Basic Black with a Dessert Option of Wet Embossing. I assume that wet embossing is the same as heat embossing--hope so because that is what I did. I used Brilliance Lightning Black on it's own for the chevron pieces, and heat embossed with clear for the squares. I used my brand new PTI Stitching Impression Plate for my raised panel. Which cake would you like? Today is Sharron's birthday, and a few of her friends have gathered to help her celebrate. Sharron is such a kind and talented gal. I am so happy to call her my friend. I made this birthday card for Sharron using the sketch from this week's CAS(E) this Sketch and the challenge at CAS-ual Friday's. I used my newest Waltzingmouse Funky Flowers set because I know Sharron loves Waltzingmouse. 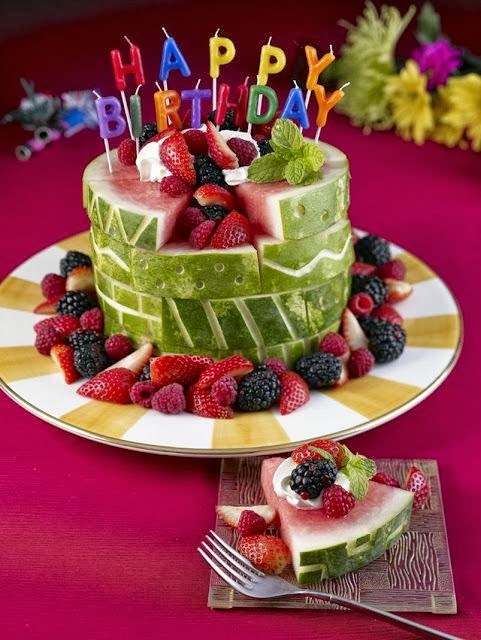 Please stop by Sharron's blog and leave her a little birthday love. Happy Birthday Sharron. I hope you have a wonderful day. Look at all the people that want to come to your party and wish you a happy birthday.